Organizations are suffering from volatility across all risk types, and in every organization, there are a multitude of applications and devices with threats and vulnerabilities. Every process, function and system has certain risks and compliance requirements, and senior management are being pressured to improve enterprise risk management capabilities. 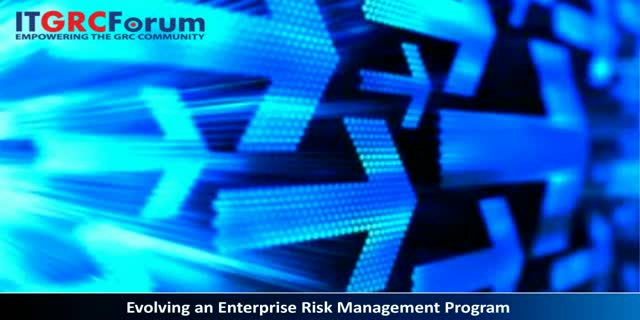 An organization’s enterprise risk management (ERM) program can be a powerful management tool for achieving strategic and operational objectives, but it can be difficult to maintain and grow over time. If an ERM program is not moving forward it stagnates, so executives need to implement a program that evolves with the times. Implementation has its challenges but there are a range of responses that can be effective for each ERM program challenge. In this webinar our experts discuss these responses and address some of the ways to implement an evolving GRC program that gets boardroom backing.